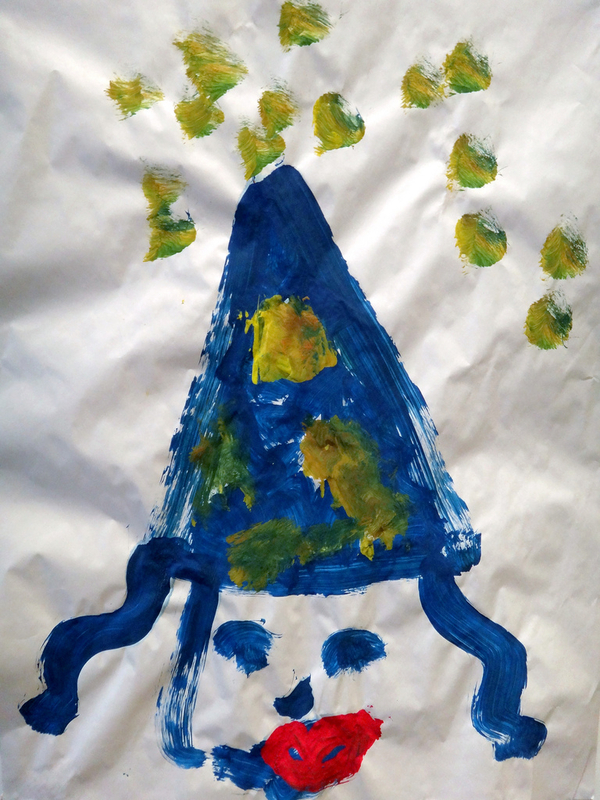 Jade and I collaborated to paint a wizard at StrongStart. My daughter dabbled the yellow stars. The school has a fun dress up area with a great wizard hat.